Power Star Pawan Kalyan who is currently busy with his Praja Porata Yatra in Andhra Pradesh is getting ready for a fund raising mission. It is known that sometime back he planned a fund raising event in Hyderabad but it backfired as it was promoted as a secret caste based event. Pawan Kalyan is now getting ready for another such event. This time, he decided to have utmost transparency. Pawan will be touring USA to raise funds through a series of events planned at various states for three consecutive days. 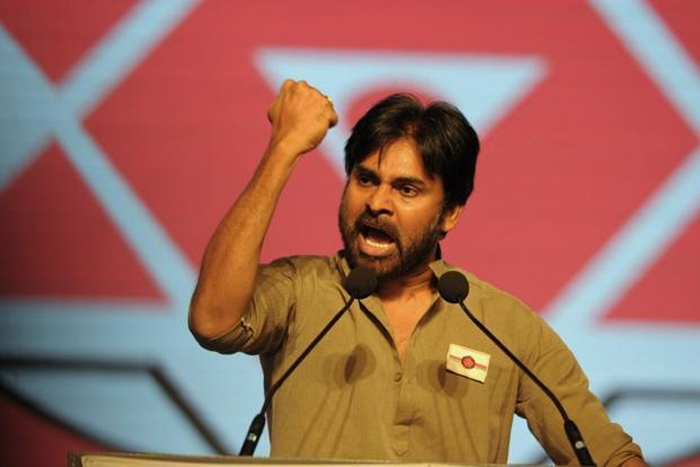 He will be interacting with people to seek their cooperation for the strengthening of his political outfit Janasena. Janasena Party Leader Muthamsetty Krishna Rao (Brother of TDP MP Muthamsetty Srinivas Rao) and Spokesperson Addepalli Sridhar will visit USA soon to organize fund raising events. Both are planning to contest on Janasena ticket from Avanigadda and Rajamundry rural respectively. They are hoping to rise around Rs 75 crs from the events to be attended by Pawan Kalyan as well.